I’ve talked about Author Earnings before, it’s a report on the whole book industry from Data Guy and Hugh Howie, something that I like to ponder on regularly. If you’re taking book selling seriously, then I think studying the industry is important. You don’t want to establish yourself as a writer and then get side slammed because one of your platforms for selling books closes. I look to the future a lot, and I talked about the debate between the indie and traditional publishing routes back in September, but today I am pondering the latest Author Earnings report, and what it might mean for us writers. In Data Guy and Howie’s latest report they show the total annual ebook sales by country. Not a great surprise that the US is in the top spot for annual ebook unit sales. But what does that actually mean for us as writers? It means that as a UK writer (or even if you’re US), I have to decide where I’d rather target. I could target the UK, write with UK-isms and ignore the American preferences, but is that really sensible given the size of their publishing-pie? And if you analyse your blog stats what do they tell you about where your audience is? 50.5% of all my views come from America. While that might not make my fiction audience American, it certainly says something about my non-fiction. But, Amazon is only King in America and the UK, if you look at the Author Earnings next table, it shows that for Canada and Australia, Apple books has a substantial chunk of the market. This comes back to the age ol’ question of whether you go wide across publishing platforms, or stay exclusive to Amazon. It’s a tricky question. Stay exclusive to the rainforest beast and you see significant benefits of Amazon’s added advertising favouritism for it’s exclusive authors and that makes a big difference to sales. But the downside is that you’re at the peril of their whimsical decisions, as they chop and change amount you earn from page reads and affiliate commission. I’m not bashing Amazon, I love them. But they, like all the other conglomerate beasts are just that – a corporate giant that could buy presidents if they wanted… So if they decide to screw indies, we are all fucked, but especially those writers who are exclusive. There was a wobble in the market last year as indie sales took a turn for the worse when it came to percentage of market share (which may or may not have been linked to less reading in election years and Amazon’s own imprint growth). While I’m no analytics expert, I can read a table. From the looks of Data Guy’s report, the market seems to have settled. The light blue bars at the top are largely uncategorized indies, who say, publish under their own imprint. And on that note, Data Guy discusses this very question – Wide or Exclusive? While the total payout to authors who are exclusive to Amazon is over three times the size of payouts to those who are wide, half of that payout is from KU, NOT actual retail sales, and the thought of that makes me sad because I want to sell books not pages. There are a few things to consider being exclusive, like the impact of the downturn last October when Indie sales on amazon dropped by nearly 10%. If your entire salary is from Amazon then a drop of 10% is never good. And what of the impact elsewhere? If your indie and exclusive, you limit your ability to get Bookbubs, as well as your ability to market in other countries – Canada and Australia are smaller pies yes, but still not insignificant, and if you aren’t selling your books on the platform half of the country reads on, you’re only limiting your sales potential. Does this answer the question as to whether you should go wide or stay exclusive? Umm, no. I think I’ll try a combo, some titles wide, some exclusive and tailor that to what I think will do best for each of those strategies. At the end of the day, we can only learn through trial and error. But it’s a difficult decision and one I still don’t have the sodding answer to. Are you exclusive? Or are you wide? and what’s the reasoning behind your decision? Let me know in the comments below. Oh for a ruddy crystal ball! Wow, that’s interesting! I published one poem book over Kindle Direct Publishing (because I was curious to check it out). Then I published my quote book from last year over create space and Kindle Direct Publishing. The reasons were that I don’t need to spend money and that kind of books is easier done by myself. I always prefer to have at least a print version. (As I said, the poem book was a result of my curiousity.) But the I’m Free books and all other self-development books I would only give a professional publisher with a wide net of marketing possibilities and also that the book is really made professional! Well I agree about books needing to be professional but I think there are plenty of services around now and with enough investment anyone can create professional finished books. but it’s great to know that you’ve tried both options, I like you, will probably try both at some point just to see. I have to admit that I also would prefer a professional publisher at least regarding the language. Another professonal pair of eyes to look over it! That’s for sure one big reason for me which is not important to many of those whose first language is English but also the network the professionals can offer is a great thing…. but it costs money… so, it is a compromise! I’ve only ever published through Amazon and the reason is KU. When I’ve run a free promotion, with one exception I’ve more than made my money back through KU pages read, with the boost to sales from my other books and increased sales of my first book post promotion being pure profit (not that profit was the point of these promotions, it’s all about visibility, but not losing money helps). If I went wide, I would have access to a new audience but I’m not sure it would replace my KU income. That said, I’m only one voice. I know of other authors who sell well across a broad platform. The best thing advice I’ve been given is to try different approaches and see what works for your book and your audience. That’s really interesting, not everyone says that to me (about pages read) there seems to be a real mix of experiences, which makes it super hard to know what the answer is, and of course there isn’t a right answer! ANNOYINGLY. I commend your discern, Sacha. There are authors (and I know many of them) who don’t even ask the question: they just go exclusive with Amazon because 1. everybody does it and 2. they pay a lot. But there is another question we should ask ourselves: do we really want to give Amazon all this power over us? 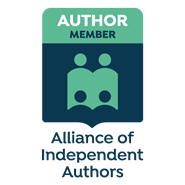 If we only follow the money, more and more authors will go exclusive with Amazon (besides, Amazon is working hard because it will become ever more difficult for an author to say no to exclusivity). Just a reminder: going exclusive means not working with anyone else. Potentially, this means there may come a day where we won’t need to decide whether to go with Amazon or not: there won’t be any other possibility. Do we really want Amazon to have this kind of power over us? I’m so sorry it took me forever to reply, I have been absolutely snowed under. Anyhoo, lol, thank you. I completely agree – one of the things I hate about being ’employed’ is that I am completely beholden to the organization and I don’t want to be. If I am ever lucky enough to write full-time I don’t want to be beholden to amazon in the same way. I am wide, but I don’t sell much anywhere, although recently I’m selling as much (or as little) in other places as I am in Amazon. I publish my books in English and Spanish (I also do translations, in case anybody is interested), and there are bigger markets in Spanish that of course, that report doesn’t even look at, for instance. I have some of my books (the first ones on both series) available free, and the amount of downloads I get in Spanish from a place like Mexico (that although now has a dedicated store in Amazon, it seems to sell more in other places) in other sellers not covered at all is much higher. (Check Street Lib for an example of an aggregator that distributes to much newer markets https://www.streetlib.com/home). The US market is highly competitive and perhaps there’s something to be said for getting into developing markets early and getting the proverbial foot in the door. But, who knows… (My contention is that doing what everybody else does, unless you can do it much better, is unlikely to get impressive results). That’s really interesting about Mexico, I’ve seen a few authors report that their English language books are selling well in countries that aren’t typically English speaking – there’s a growing market in China and India I believe. Very interesting Sacha.. I have never been Amazon exclusive and the key for me has been being on Smashwords Premium catalog which means books are available at Barnes & Noble, Apple ibooks and others etc. Premium Catalog (Reaches Global Retailers and Libraries): Once your book is accepted into the Premium Catalog, we automatically distribute it to major online retailers. Notable retailers in the Smashwords distribution network include Apple (operates iBooks stores in 51 countries), Barnes & Noble (US and UK), Scribd, Oyster, Kobo, Yuzu, Blio and Inktera (formerly Page Foundry). Our industry-leading library distribution reaches OverDrive (world’s largest library ebook platform serving 20,000+ libraries), Baker & Taylor Axis 360, Tolino, Gardners (Askews & Holts and Browns Books for Students), and Odilo (2,100 public libraries in North America, South America and Europe). I also have my own selling website that allows me to discount my books, particularly the ebooks and still make more that I get from Amazon. I have nearly all of my books on as many platforms as possible. Mainly because I don’t like being slave to Amazon’s algorithms. Only my Westerns are exclusive, because that’s how my publisher does things. But I make next to no money from page views etc., so I’m still skeptical about KU. I hear so many mixed reviews about KU that frankly I have no idea what to make of it. I think I’ll have to write something just for it so I can see what happens. I was tempted to do that. For science! Mind. Boggled. I’m exclusive to Amazon but have been debating this a lot lately. My non-fiction sells much more than my fiction so I’ve toyed with the idea of going wide for one genre only to see if it makes a difference. I’m wide. I tried the exclusive thing. All that happened was I gave away a shedload of free books and got nothing in return. I don’t believe in exclusive. Or free. At least, I want to be in control if I decide to do free stuff. Not be controlled by Amazon’s rules. I think your idea is right… experiment and find out what works best for you. Sadly, there’s no secret formula to success, no ‘one size fits all’. Besides, call me old fashioned, but I like to sell books, not pages. No author makes money by the page. If the reader chooses not to finish a book, that’s their decision, the author shouldn’t be penalised for that. Yeah. Do artists get paid by the brush stroke? Musicians by the number of notes they play? Why should we be paid by the page? If they want to do that, lets publish by the page, not the book. No. In all other spheres of work, people get paid for the total sum of the work they produce. Or they get paid by the hour… I’m all up for that! If writers got paid by the hour, we’d all be raking it in. Even being paid by the number of words written would be fairer, like when you get paid for an article submitted to a journal or newspaper, you’re often paid a rate per 100 words, for example. But to pay us according to how many pages a reader reads??? Ridiculous. Just no. lol, did you enjoy your rant here?! :p I agree wholeheartedly, but I also think the free book tactic to entice readers is good too, and I know that’s different to being paid by pages read, but I think if you have a few books then giving the first away for free if (and only if) it results in subscribers who then buy more is a good thing. I know in reality it doesn’t always work like that, but when it does bingo! I agree with that. Its just the pages read I dont like. And the expectation to give stuff away for free. I went Amazon exclusive within the first year of publishing. Although, now I have my first book perma-Free and on Smashwords. The reason I went exclusive is because I wasn’t getting any traffic on the other sites. I promoted just as hard, but the only ‘sales’ I got was during free periods. The worst was when a bunch of people proudly told me that they downloaded the sample from Smashwords. Amazon was showing all of the exclusive toys and benefits at this time, so I figured I had nothing to lose. Didn’t seem like anybody outside of Kindle was interested. Of course, I had a few Nook and Kobo requests AFTER I did the switch, which shouldn’t have surprised me. How long ago was that though? The thing is with all these things we try, is that the market is changing so freaking fast, it;s almost impossible to keep up. I know a few people that are now trying facebook ads in the style they first had success with 4 years ago and its working again despite not having worked for the last 3!! That was 2013 and I didn’t go free with the first book until last summer. I’ve heard Facebook randomly became viable again, which is strange. Never had any luck there though. I’ve noticed that once something works, everyone flocks to it and then you get saturation. So it loses its luster fairly quickly. Well Facebook advertising took a nose dive over christmas because all the big industry giants were using it, it should have calmed back down now. I’ll give it a look. Last year did a number on my promo funds, so I have to be pickier than normal. Excellent research and assimilation of what it reveals. This is exactly what writers who want to publish should be doing. Research your industry, genre and sales potential. Know who your target audience is. Then set up a plan of tactics. Measure the results, look at the research again, repeat or commit new tactics. That’s the ongoing cycle of marketing in a nutshell. Great post! Definitely. That phrase wasn’t made up for nothing! I don’t have to make this decision yet, but if my book were to come out tomorrow I think I would go KU for one 90-day period to take advantage of the extra promotion that goes with this and hopefully get some traction, and then go wide because hanging everything on one company doesn’t seem like a sound long term business strategy (especially when Amazon incessantly changes the rules), and because I want everyone who wants to be able to buy my book to be able to do so. Yeah I have to say, I’ve considered doing that too. Trying it for 90 days to see what happens. It’s hard to gauge though as the peak of sales is usually 90 days then it drops into oblivion so it may. It be 100% reliable after one 90 day period. But anyways, I love an experiment and I like you want to try and see. I don’t think of it as selling books. When I think of selling, I think of when I worked for J.C. Penny and sold shoes or walked door to door 16 hours a day selling for Fuller Brush. Selling is where you take cash or credit from a customer and hand them the product they bought from your hand. I don’t sell my books like I sold shoes or Fuller Brush products back in the early1970s, but I do promote my books through my Blogs, and in other forums (but not pushy). I don’t mention I’m an author with books to read on other forums unless the opportunity comes up from what someone else might ask me in a reply to one of my comments. That means I seldom mention I write and publish my own work even in the posts I write for my own Blogs. But I do promote at least one of my books after each blog post with a blurb about me as an author. I also pay for ads through a variety of sites. For instance, BookBub, Fussy Librarian, Choosey Bookworm, eReaderNews Today and a few others. I even ran an Amazon ad this month for the first time, and I’m going to try that again but for a longer time period. I ran the ad for one week and then Amazon sent me an information piece saying that for their ads to really have a chance to work, the ads should run for at least 60 days. I agree, no matter how good a book is, if readers don’t know it’s out there, there is no way they can make a decision to give it a try. Several hundred thousand new titles come out annually and they are all competing for a limited number of readers. One English reading country was left off of the list. India. I’ve read that India has about 80-million avid readers who read English vs 60-million avid readers in the U.S. But reaching out to those avid readers of books printed in English for the reading audience in India might be a challenge. Authors promote their work in competition with all the other writers who are promoting their work. I think about it like a huge, vast forest with billions of trees and each book represents one tree. The readers are walking on well used paths through that forest and the trees they see are the one’s that are heavily promoted and even then there are way too many choices. Books that aren’t promoted, no matter how well written, are off in the distance behind mountain ranges and across raging rivers far from the beaten paths those readers tread. Amazon ads were not the only ads for this campaign. I am also running ads with Book Sends (on 5-3 and sold 8); e-Book Soda (today), Riffle Select on 5-17, and Book Gorilla on 6-9. So even if Amazon doesn’t run many ads resulting in no clicks, then a few books will still sell through the other ads from those other sites. The challenge with running all these ads through different sites is coordinating the dates. If you plan to run a limited sale for a few days it is almost impossible to schedule all of those different sites in the same time span. Hmmm. Yes, I think that’s true too. Most reviews do come from Amazon or Goodreads. But perhaps that then means that reviews aren’t the main driver for sales on the other sites? I heard that Kobo prefers books that have been on their system for over 9 months, so I wonder if that then means that unless you’ve been on there a while you’re never going to sell books? It might be like Amazon’s favouritism to those in KU. I’m with you on the free books – although I have some views and ideas about what I am going to do for me. But I think it’s a great tactic to grow you’re audience -it’s just a pain when you only have one book! Too early for me to say, but I’m exclusive to Amazon because a couple of authors told me that was the way to go with a first book. When the 2nd book comes out , I’ll have a rethink about it. Yeah, I’ve heard that too Hugh. I think if you’re not writing a series then that probably is the way to go to be fair. I was exclusive, then went wide (for 6 months) but have now gone back to exclusive after reviewing my sales data. Amazon is better for me – at the moment. I struggled to get any traction on the other platforms but definitely open to going wide in the future. I know a few people that have flip-flopped between the two. I think it’s the only way to do it – experiment, however, I also know it’s way harder gaining traction if you’re not exclusive, so I guess it might take longer to get that traction. I totally can see why you are taking some time off if you are blogging with this level of detail. Very eye opening. I’m beginning to consider going back wide again as well once I have these pesky WIPs done. Major overwhelm. Sigh. But thank you <3 means a lot. I think I'll end up experimenting - although the pain of having to be in Kobo and the likes for so long before you see the return is painful. But short term pain for long term gain? You do not have to be exclusively on Amazon to buy ads from Amazon at a reasonable price that promotes your work. Yes, awesome. I ran a week-long ad for one of my books earlier this month. I set the budget at $100 but they only used up about $25 (they only charge when clicked) and the sales that resulted almost paid for the cost of the ad. Then Amazon sent me a piece of advice that the results are better if the campaign runs for at least 60 days. So I submitted a request for a 60-day ad campaign for one of my other books and they said yes. I didn’t expect them to say yes because that one has the lowest reader review average on Amazon thanks to a tribe of trolls back in 2013 when the bullies burned me and my work in a flame war. How is the 60 day add going? The 60-day AD for “Running with the Enemy” was accepted by Amazon and it will start on 4-15 and run through 6-17. I didn’t submit my most successful book. I want to run ads for my three losers first before i submit my #1 book. Ranked according to sales (2,161), I submitted #3 on the list. The book that has sold the smallest number of copies and has the fewest Amazon reviews is #4 (117 sold so far) “The Redemption of Don Juan Casanova”. Number four is dying a long, slow death in a desert where there are few or no readers. It’s safe to say that few want to read a murder mystery about a main character who was raised to be a Lothario and is addicted to serial seductions. Actually, the Amazon ad campaign is probably a day or two more than 60 days. The challenge has been to find new readers for each book I’ve written because I change genres every book. It’s like starting over and finding a new lover after a divorce. What can I say, I’m only following what my cursed author’s muse says to write. Sorry that I rambled on. No really. It’s been one of those mornings. I think I’m going to write a Blog post about this topic, sort of. lol. Well the ad must have been going a while now because I am useless and got burnt out and stopped blogging. But I am back of sorts now, so tell me how it went? Well, this Amazon ad campaign that was approved by Amazon was the ad campaign that sort of stalled and/or didn’t get started, because Amazon hasn’t run many ads as of yet (less than 300 with not one click through) and I learned that is because my approved ad is competing with the ads of other authors in the same genre who bid more money for each click. The click through bid amount is what determines who Amazon runs ads for even after Amazon approves an ad request. My first ad campaign for a memoir must have had no competition (I bid the same price per click) because in 8-days Amazon ran almost 20,000 adds with about 160 clicks resulting in 13 sales. For this ad campaign, with no clicks, it costs me nothing but then there are no sales from the ad campaign. I’m learning. Next time I’ll bid more per click. It turns out that Amazon ad campaigns are a competition based on how much you bid for each click. The low bidders end up with non-starters. Does this method favor the corporate publishers because they have deeper pockets? I wonder what the best bid-per-click point is that will guarantee some action? I know one writer that pays $0.35 a click. I was going to say 30 -50p so I suspect thats probably right.